Spell and the Gypsy's Maisie the Muse collection is all we want to wear. 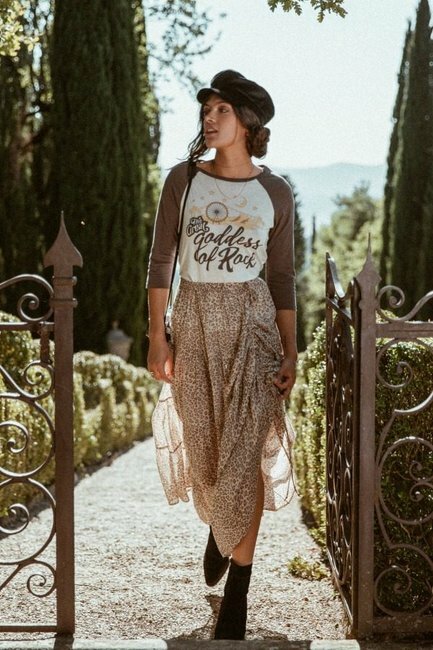 If jetting off to Italy this winter isn’t going to happen for you, Aussie label, Spell & the Gypsy Collective’s latest collection might just be the next best thing. Maisie and the Muse takes their loyal fan base to the sun-drenched streets and vine-ripened fields of Florence and it’s doing rather unfortunate things for our wanderlust. While it only dropped today, select pieces are already selling out, with the label championing their classic boho-luxe prints and ruffled dresses, mixed with edgier pieces like a shearling vest, slouchy sweaters and the swishiest tulle maxi skirt, which we’re calling the statement piece of the season. Listen to Lizzy tell Rachel Corbett how Spell & the Gypsy Collective began. Post continues. 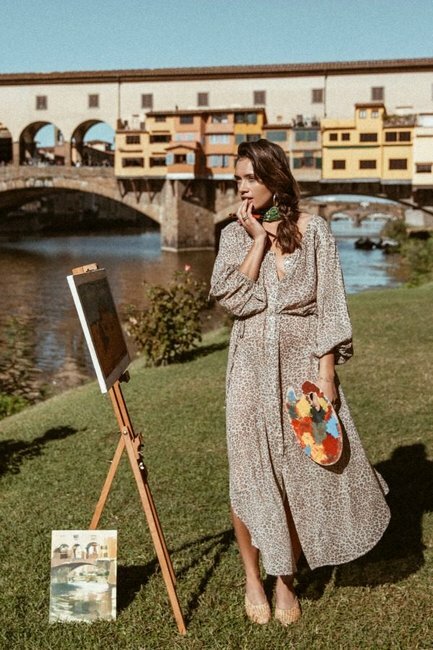 According to the brand, their autumn and winter drop aims to capture the dreamy, artistic and intoxicating essence of Florence, the birthplace of artists like Leonardo da Vinci, Botticelli and Michelangelo, through vibrant shapes and “statement silhouettes”. See all the shots of Spell&apos;s Maisie the Muse collection and shop the range on their website. What are your favourite pieces from the collection? Tell us in a comment below.